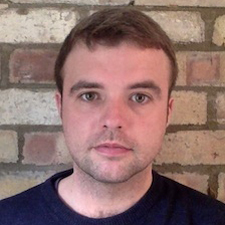 James Purdon is a Research Fellow in English at Jesus College, Cambridge, where he also co-convenes the Literature-Technology-Media Research Group and the Cambridge Screen Media Group. He works mostly on twentieth-century literature and film, and is currently preparing Modernist Informatics, a study of the relationship between state information systems and modernist narrative. In the early 1930s, a new National Grid brought electricity to the length and breadth of Great Britain. A new network, visible in the form of pylons and high-tension cables, transformed the countryside into a new location of modernity, refashioning landscape into wirescape and enabling new modes of aesthetic response to connectivity. This article approaches the high-voltage grid by way of three very different works of the 1930s: the “Pylon” poems of Stephen Spender and Stanley Snaith, Paul Rotha’s documentary The Face of Britain, and Alfred Hitchcock’s Sabotage. 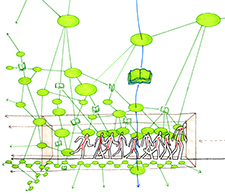 Connecting these disparate sources, it shows how a specific form of network-mindedness emerged at a key moment of technological, political, and cultural transition.